High octane jigs and reels. Songs in Welsh as well as English. Energetic Welsh step dance. Calan brings a fresh and vibrant sound to traditional Welsh music. 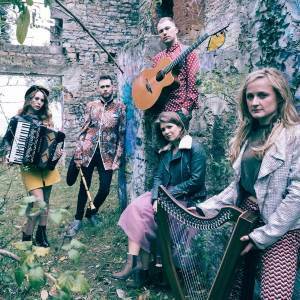 With a contemporary and lively approach, they breathe new life into the old traditions through their sparkling melodies, foot tapping tunes and spirited and energetic performances of Welsh step dancing. Modern day songster, minstrel and bluesman. Jerron Paxton is well versed in multiple instruments as well as a respected vocalist of the modern era. His style draws directly from yesteryear jazz and blues music, the kind that was popular before the Second World War. It is easy to feel his personal role models who include, but are not limited to, “Blind” Lemon Jefferson and Fats Waller. What truly sets Paxton apart though is his ability to play the piano, violin, banjo, guitar and many other instruments with absolute harmony and then somehow add lyrics to the mix that suddenly brings out the perfect balance between instruments and vocals. ​Anything that Blind Boy Paxton does is rhythmic and soul soothing! 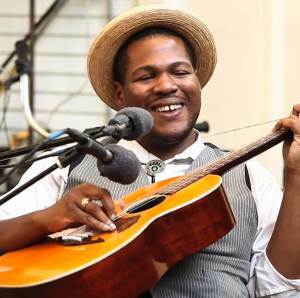 This engagement of Jerron 'Blind Boy' Paxton is made possible through the Special Presenters Initiative program of Mid Atlantic Arts Foundation with support from the National Endowment for the Arts and the West Virginia Commision on the Arts. Single tickets $15 advance; $20 at the door; FREE for WVSU students. Sold only by WVSU. A cappella quintet acclaimed for performances which range from Zimbabwean songs to Afro Jazz to Gospel. Nobuntu is an a cappella vocal ensemble made up of young women from Bulawayo, Zimbabwe. Their repertoire is a fusion of traditional Zimbabwean rooted music, Afro-Jazz, Gospel and crossover in pure voices with minimalistic percussion, traditional instruments such as mbira, and some dance movements. The name “Nobuntu” is an African concept that values humbleness, love, purpose, unity and family from a woman's perspective. This concert featuring Nobuntu is a West Virginia State University Cultural Activities event. FOOTMAD is proud to be a partner in this event and offer this concert as part of our season ticket package. 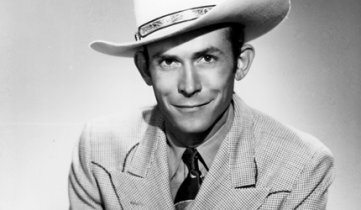 The legacy of renowned country music artist Hank Williams is celebrated by an all-star group of singers and musicians. 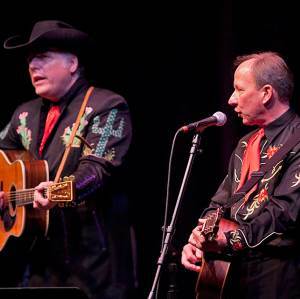 From classics such as "Jambalaya," "Lovesick Blues," and "I'm So Lonesome I Could Cry" to hidden gems like "Pictures from Life's Other Side," "Log Train," and "Pan American," the Hank Williams Tribute band offers a full and satisfying evening of authentic country singing and yodeling, stellar musicianship, and old-fashioned fun and entertainment. Never stilted or contrived, they sing and play from their hearts, as did Hank Williams and his original Drifting Cowboys band. Interesting anecdotes about Williams and his music add context, while good-natured banter between the musicians keeps the show lively and entertaining. The Hank Williams Tribute Concert is presented by the Woody Hawley Concert Series sponsored by Unity of Kanawha Valley and co-sponsored in part by FOOTMAD. Honoring longtime fiddle instructor Cathy Grant. Jazz music from piano master Bob Thompson. Inspiration Gospel from Angie Richardson. Unaccompanied songs of Bare Bones. Since 1991 Bob Thompson has been pianist, and regularly featured artist on West Virginia’s NPR syndicated radio show, Mountain Stage. For the past twenty-three years he has also been co-producer and host of Joy To The World, a holiday jazz show, broadcast on public radio stations nationwide, and heard internationally on the Voice Of America. In October 2015, Bob Thompson was inducted into the West Virginia Music Hall Of Fame. ​Angie Richardson was raised within Charleston’s vibrant African American gospel music community. Angie is a soulful singer and a masterful piano player. She performs both traditional and contemporary gospel music. Becky Kimmons, Bill Kimmons and Mark Davis singing as Bare Bones have sent chills up and down spines all around the world with their a cappella harmonies via Public Radio International's Mountain Stage, and live, in person, on many concert stages. Their song list is varied, showcasing traditional songs dating back several centuries to contemporary songs, always with the distinctive sound that comes from unaccompanied singing rooted in Appalachia. One of Irish music's leading exponents on the international world music stage. 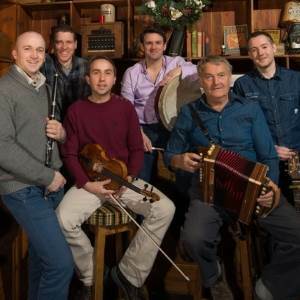 Téada, now firmly established as one of Irish music's leading exponents on the international world music stage, continues to be driven by a fascination with the timeless, expressive force of traditional tunes inherited from previous generations of musicians. This event is the centerpiece concert of the 3rd annual Celtic Calling Festival, a weekend of culture and music in downtown Charleston. Malian supergroup performing in the Mandé griot tradition -- mixing the old with new songs to give a contemporary modern edge. 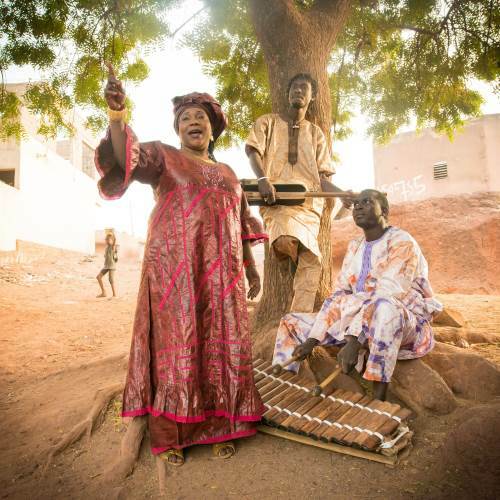 Trio Da Kali unites three outstanding musicians from the Mande culture of southern Mali who come from a long line of distinguished griots (hereditary musicians). The trio sings, plays the balafon (a type of wooden xylophone) and a West African stringed instrument called a bass ngoni. Trio Da Kali brings a contemporary twist to ancient and neglected repertoires.